2017 is the final year of Dodge Viper production, the end of an era of snap-oversteer madness. And one dealer is looking to cash in on that by buying almost all of the remaining unsold Vipers from Fiat Chrysler, according to the blog entry on its website. Want a new Viper? Talk to these guys. Gerry Wood Dodge, out of Salisbury, North Carolina claims it just ordered a bunch of vipers (135 or 140, depending on if you trust their website or their press release). The site says the order represents about “99 percent of remaining production,” so this dealer may have just bought the last Vipers to come out of Conner Avenue Assembly Plant, perhaps ever. And Gerry Wood Dodge has even made its own “special editions.” Granted, Dodge already offered its own 2017 special edition models (which immediately sold out), but Gerry Wood Dodge ordered a bunch of Vipers with certain color and accessory options, so it’s almost like they’ve got their own special edition cars with their own names and everything. The dealership apparently put together an “exclusive Viper Team” that “went through 8,000 + color selections” to make three of these special Vipers. 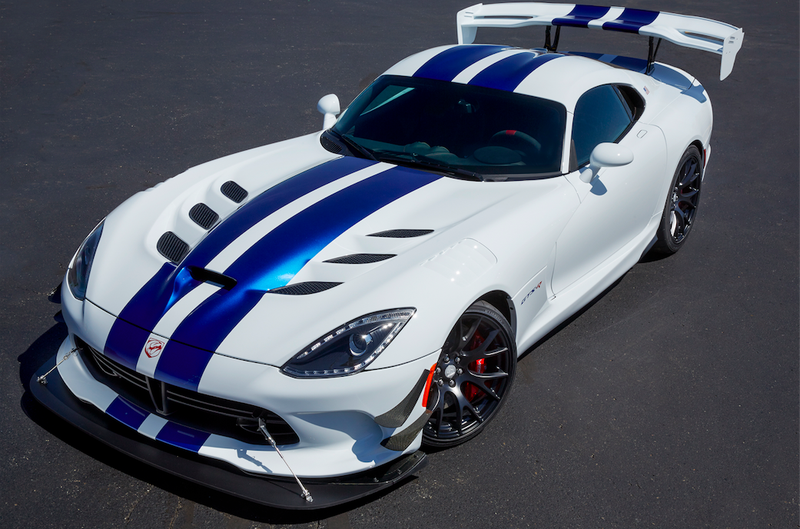 The first one, a white example shown above, is called “ACR Solid Edition,” and it’s basically 18 or 17 (numbers from the website and press release, respectively) GTC Vipers with the ACR Extreme Aero option, loaded with carbon fiber interior trim, and in a variety of colors so none are exactly the same. Then there’s the Advanced Aero Solid Edition, which are 14 GTC coupes with the Advanced Aero package, luxury interior options, and in a bunch of colors as well. Finally, the dealer ordered six “Black Stripe Edition” vipers. These are black gold Viper GTCs with the ACR Extreme Aero package and either SRT, GTS or ACR stripe options. When it was finally confirmed that the Viper was going to cease production, I felt an obligation as a fan, owner, and Dodge dealer to help others experience the rare privilege of experiencing this amazing machine﻿. Yup. I’m sure that’s the only reason for buying the world’s final supply of Vipers.